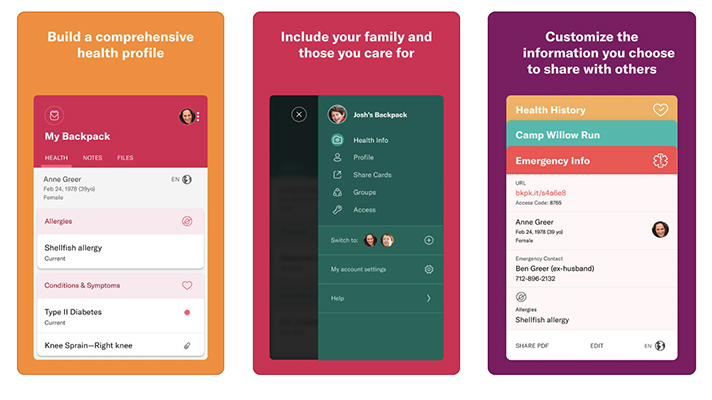 Backpack Health, maker of an app and dashboard-based personal health record platform, announced this week the launch of a new dedicated group within the service specifically designed to help transgender and non-binary people manage their health data. Along with data regarding their general healthcare, the tool can track medical information unique to the needs of these populations including hormone replacement therapies, blood work, surgeries and other post-operative health needs. In addition, the new group also includes resources such as medical provider directories that can help users find and share their data with clinicians who are familiar with transgender and non-binary patient care. "The transgender community faces many unique health challenges, many of which stem from a lack of resources and understanding of needs by medical professional," Jim Cavan, CEO and founder of Backpack Health, said in a statement. "We are thrilled to be able to extend this support to the transgender and non-binary community, helping them overcome the many challenges they face and break barriers in the medical field." Backpack’s secure, cloud-based platform is available worldwide and supports six different languages. Alongside their additional healthcare needs, a substantial number of transgender and non-binary individuals are unable or unwilling to seek care due to stigma. Backpack’s tool not only provides these individuals a discreet means of tracking individual health, but can play a role in connecting patients to services that are sympathetic to their experiences and knowledgeable in their care. "The transgender and non-binary communities have specific needs that are very often not met in healthcare. [These range] from providers using the correct name and pronoun of a person when they enter a room, to understanding how to make more accurate and beneficial clinical decisions based on a fuller picture of a person's health journey," Cris Montgomery, project manager for Backpack Health's new initiative, said in a statement. "This tool is especially crucial for those tracking hormone replacement therapies, surgery dates and other details. While many providers are not aware of these treatments, with Backpack, transgender patients will be able to serve as educators for their providers as well." Transgender and non-binary-specific health apps are few and far between, but not totally unprecedented. One example is Portland State University and Oakland, California-based dfusion’s Transwomen Connected, an NIH-supported app that the groups began building in 2017 to promote HIV prevention and community engagement among transgender women. "The transgender community faces many unique health challenges, many of which stem from a lack of resources and understanding of needs by medical professional," Jim Cavan, CEO and founder of Backpack Health, said in a statement. "We are thrilled to be able to extend this support to the transgender and non-binary community, helping them overcome the many challenges they face and break barriers in the medical field.